It’s “All Change” as Autumn slowly rolls around and as the winds get stronger and the air gets drier, we’re all starting to pull out our oils and butters in a bid to combat the harsh weather changes. I’m normally obsessed with my shea butter products however of late, I’ve been trying out various natural skincare products to change up my routine a little bit. I normally stick to using three different body moisturisers a day; an oil based one in the morning and a thicker, more intense cream in the evening. On the days where I like to have a bit of a pamper, I’ll use something a bit more luxe. 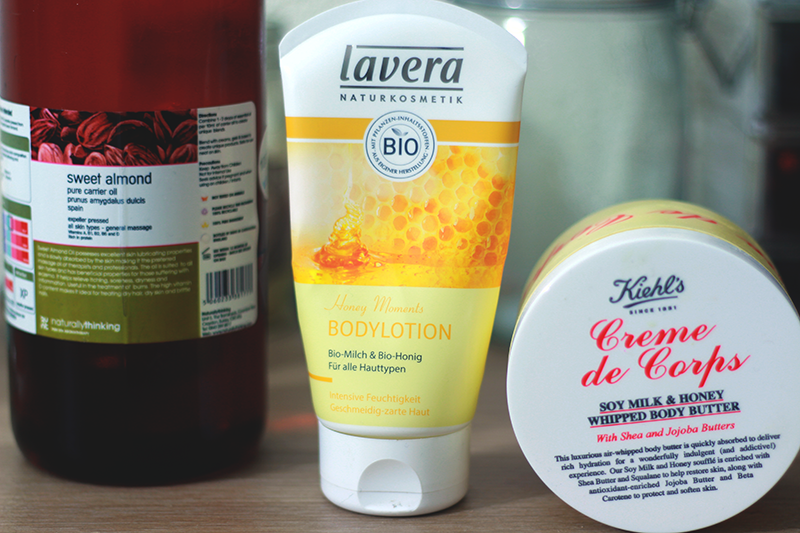 In this case, we have good old fashioned almond oil, Lavera honey body lotion and Kiehl’s Creme de Corps soy milk and honey whipped body butter. I love using sweet almond oil during the winter as it is extremely nourishing to the skin, leaving it very soft and moisturised. What I like about almond oil in particular is that it absorbs beautifully into the skin, leaving no oily residue and is great for use during the day as it lock in moisture, leaving one ash-free the whole day. I sometimes use a capful in the bubble bath too if I can’t be bothered to moisturise after bathing as it manages to lock in and moisturise my body while in the bath. 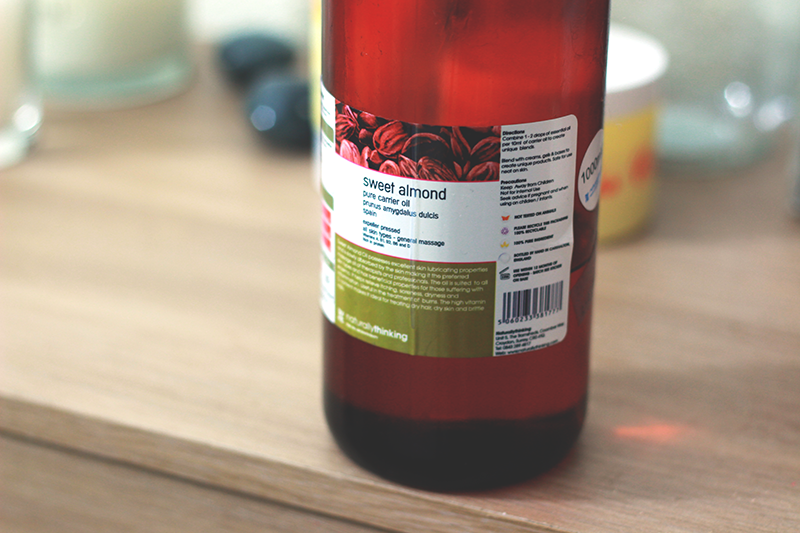 Almond oil is also very good for hair too so it’s a great product to have lying around at home! 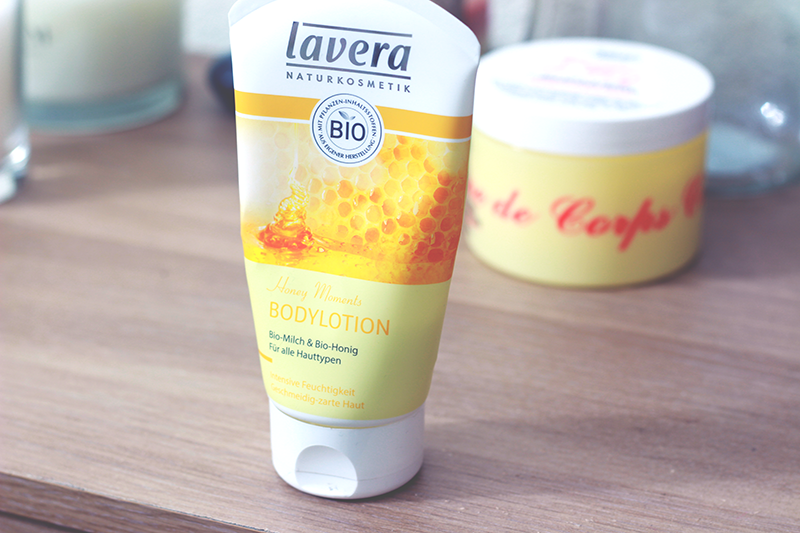 Lavera* is a German natural skincare brand I have recently come across who specialize in using all natural ingredients that are silicone, sulfate and mineral free and come in a huge range of yummy products that cater to thirsty skin. 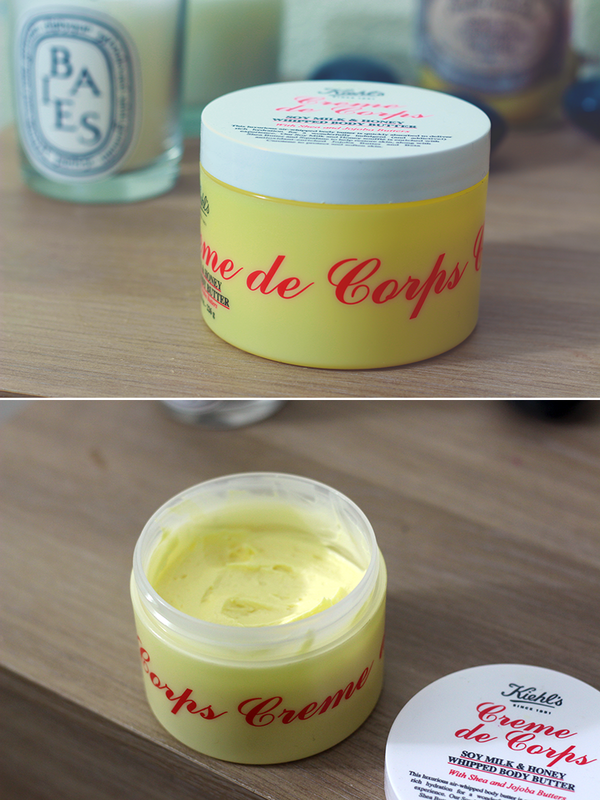 Finally we have the ever popular Creme de Corps soy milk and honey whipped body butter, which I use mostly on my pamper days (for the price I paid, I intend for this stuff to last!). With ingredients such as jojoba oil and shea butter as well as soy milk, the body butter is exceptionally light and fluffy with use, with me only having to use a tiny bit to cover vast areas of the body, like my thighs *sigh*. It gives off a lovely glowy finish with use and I particularly like to use this in the evening to allow the product to sink into my skin overnight, leaving it feeling lovely and soft in the morning. What are your favourite Autumn/Winter body moisturisers?